The all-new GoodLife click-shut Laptop range is just the thing for food on the go. 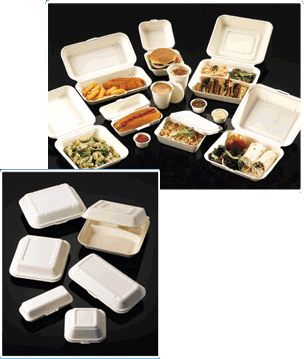 100% biodegradable and compostable, the hinged-lid trays and boxes are made from 100% natural, recycled materials. Strong, robust and heat resistant, they come in a range of different shapes and sizes too. Whatever the cuisine, our brand new Laptop containers are ideally suited. From bistros to corporate events and just about any catering environment you can think of. Remember, if you have something specific in mind, our Bespoke Design Service can cater perfectly to all your needs. So when it comes to fulfilling your corporate and social responsibilities, it really is an open and shut case for going green with GoodLife®!